For years, we monitored some of the most beloved home component products among our customers. One of them is James Hardie® fiber cement siding, a material manufactured to combine both beauty and functionality in defending your home against tough weather. What makes it a sought-after siding option? 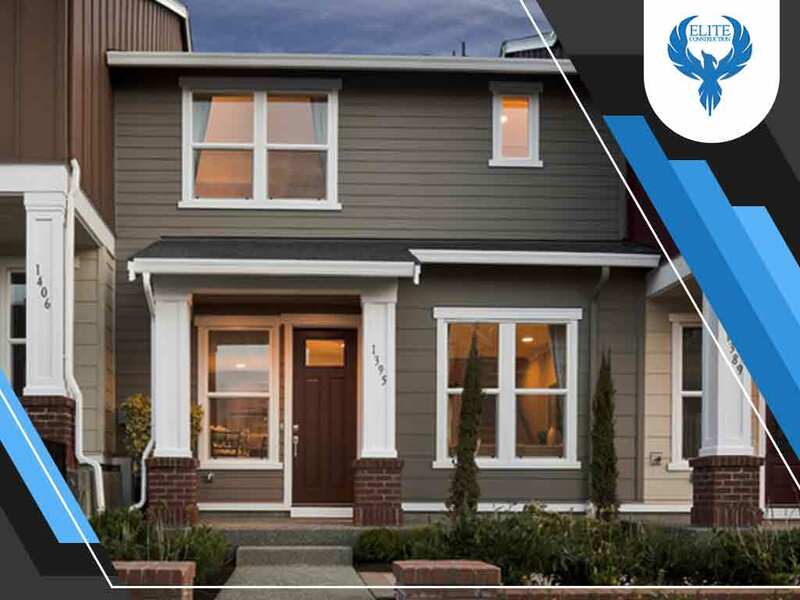 Elite Construction, your top siding contractor, lays down the major reasons behind its popularity. You can count on consistency with the James Hardie® siding because of its ColorPlus® technology. This specialized coating allows your siding to become highly resistant to harmful UV rays to appear as vibrant as the day it was first installed. You have over twenty color choices to choose from, which guarantees you’re bound to find something to match your existing exterior. As your leading siding company, we always look for quality products to offer our customers. A product created with the intention of improving your quality of living – that’s where James Hardie comes in. With years of continuous innovation, James Hardie siding underwent several advancements until it satisfied the protective needs of an average home. The manufacturers came up with a formula which resists rotting and weather damage, no matter what the season. Another favorite feature among homeowners would be its fire protection and moisture resistance. The fire protective properties mean it protects your family in the event of a house fire. And lastly, every siding damage begins with moisture trapped between the siding and the wall. James Hardie fiber cement siding is engineered to withstand damage from moisture and rotting to rainwater and snowmelt. Elite Construction is the company to count on for quality craftsmanship in both siding and window replacement. Every product we offer is a cut above the rest because we strongly value giving our customers the protection they deserve. Call us at (844) 217-0506 or fill out our contact form for siding inquiries. We service Denver Metro and the entire Front Range of Colorado.